Which citizens matter in Missouri? Reading the St. Louis Post-Dispatch today, I learned that the new EPA rules meant to block run-off pollution in our streams, rivers and wetlands would not take effect in Missouri because a coalition of powerful folks in the state think agricultural run-off is just fine. As long as the bottom line of interests like Smithfield’s hog farms is healthy, to hell with a healthy water supply. Several of the usual suspects in Missouri and 12 other states, in this case joined by our pet Republican in Democratic disguise, Attorney General Chris Koster, filed suit against the regulations and a federal court has now blocked the rules in those states. So now, Missouri’s officials will be free to carry out the will of the folks to whom, in the words of our esteemed Attorney General, they seem to be most accountable: the aforementioned Smithfield Farms, Montsanto, Cargil, Archer-Daniels-Midlands, Tyson Foods and other similar agriculturaly-related big campaign donors. 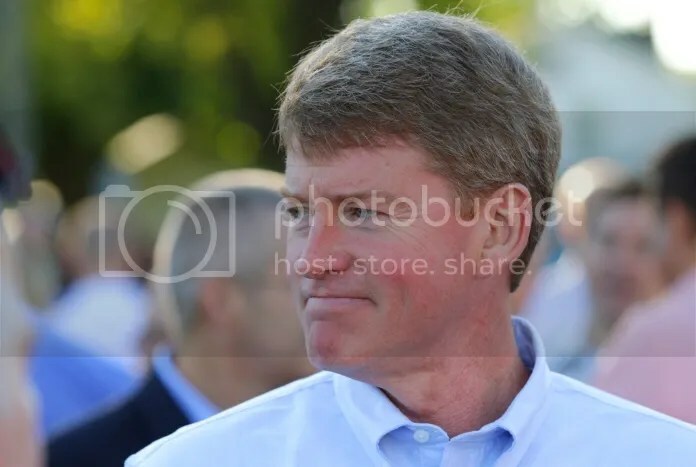 Missouri is, after all, one of the freeest of the big-dollar, money-is-speech, free-speech zones – and don’t forget that Koster hopes, as the Post-Dispatch indicated, to become governor in the near future. In addition to the American Farm Bureau Federation’s twenty-two lobbyists, no fewer than 20 of the state Farm Bureaus, including Missouri, have registered lobbyists in Washington, leading the field of agribusiness lobbyists. Over the past decade, the nation’s ten largest agribusiness interests gave $35 million to Congressional candidates-led by the Farm Bureau, which gave $16 million, or 45 percent of the total. Farm Bureau PACS donated another $16 million to state candidates, according to election records. The Farm Bureau also has a financial interest in agribusiness corporations. In recent years, its insurance affiliates have bought stock in companies like Cargill, ConAgra, Dow Chemical, DuPont, Tyson and Archer Daniels Midland, all major food industry players. The Southern Farm Bureau Annuity Insurance Co. once owned more than 18,000 shares of Premium Standard stock. So what will it take to wake Missourians up and help them realize that the EPA doesn’t make rules just to gum up the works, and that imposing some restrictions on corporate farmers might pinch Smithfield’s or Montsanto’s shareholders very slightly, but the rest of us probably won’t feel it at all – except when we begin to enjoy the benefits of a clean streams, healthy wetlands, and safe drinking water. And maybe they’ll wise up at the same time to the fact that the Missouri Farm Bureau doesn’t give a damn about the “family farms” its representatives can’t stop jawing about, and that most of the horror stories they keep trying to sell – about the new rules regulating backyard mud-puddles, for instance – are made up out of pure airy-fairy dust. At some point he’s gonna have to fish or cut bait. With his accumulated campaign contributions we’re betting on fishing. Nah, the later is never gonna happen. Attorney General Chris Koster (D) [file photo]. Well, it was a good day. Not really, but some republican gubernatorial candidates might do a bit more research on the job description. You think maybe the Faux News Channel watching primary voter demographic keeps bringing this up? The contributions keep coming in. Not that anyone’s surprised. Campaign Finance: Is that all? Campaign Finance: What else is new? Nope, nothing out of the ordinary there. After that contribution there doesn’t appear to be much left. The dream for 2016 must be gone.